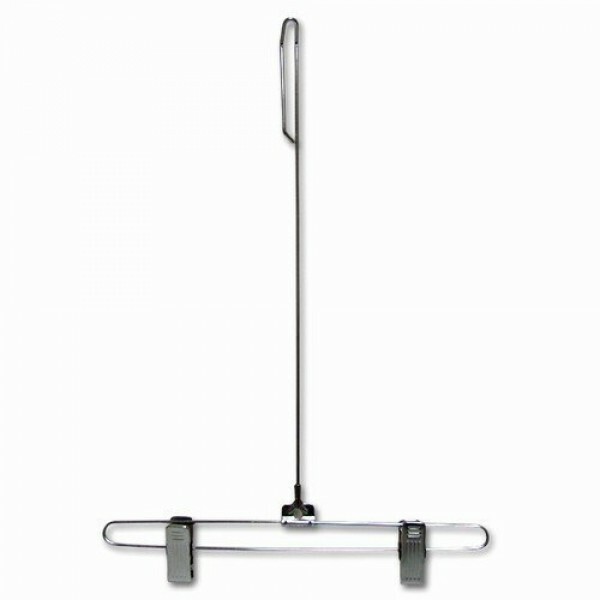 Chrome, metal skirt/pant hanger with 9" drop has quite a unique display. Metal clips gently hold clothing with plastic grip. Position of clips can be altered along the length of the hanger.